In this article, we are going to learn about some of the most common records that are used with DNS. DNS records contain the data that is requested by the client. Depending upon the type of DNS records this would determine the type of data returned to the client and what they can do with it? It is the most widely used DNS record i.e. ‘A’ record and ‘AAAA’ record. 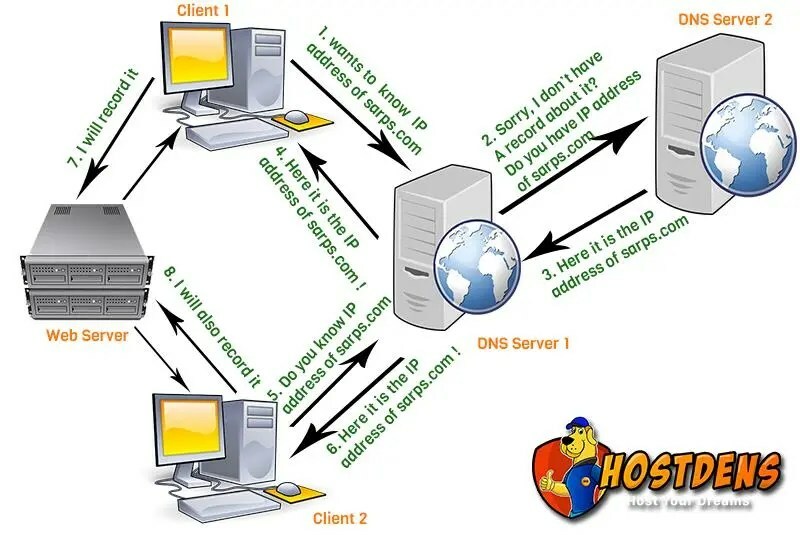 ‘A’ record stores the IP address for a DNS name for ex:- if a client on the network wanted to know the address of saprs.com it would send the request to its DNS server. The DNS server would look to see if it has ‘A’ record to match the name sarps.com. If it did then it would return the IP address contained in that ‘A’ record to the client. In order to resolve computer’s and devices on your network an ‘A’ record is required. You can see why there are so many ‘A’ records in the DNS server. Each devices in the network require one ‘A’ record in order to other devices on the network to obtain IP address for them. ‘A’ records are used for IPv4 addresses. The ‘AAAA’ records are used for IPv6 addresses. This is the only difference between the two. They perform the same requirement of storing the IP addresses for a name except they do it for IPv6 addresses. Although the ‘A’ or ‘AAA’ records can contain all the IP addresses for all the devices on the network, you may also use them with another type of record which are Alias or CNAME records. These records creates an alternative record or alias for another record. This can also be referred to as a canonical name and thus that is where the name i.e. CNAME came from. To understand when you would use an Alias consider on a network you have a server called Sarps1. It would be difficult for the users on the network to remember the server name i.e. Sarps1. So you would create an alias record called Test. Now when the client asks for an IP address of the Test they would be given the IP address of Sarps1. You may be thinking is it possible to create another ‘A’ record for Test? Although this would work there would be a problem with this approach and that problem would be: you need to change two records if the IP address of Sarps1 were to change. Having an alias record instead means that if the IP address of Sarps1 were to changed then the alias record would not need to be changed or modified. The next advantage of alias record is that it can transparently be used throughout a user to the server. For ex:- if you have another server called Sarps2 you could at any time can change the CNAME record for the 2nd server. For ex: – If the first server needs to be rebooted for the maintenance reason then you can change the Test ‘A’ list record to point to Sarps2. Now all client requests for Test would be given the IP address of Sarps2. Of course, an approach like this does not take into account a DNS record being stored in the client cache and using the old IP address until the cache expires. Now we will discuss the remaining DNS records in the next article.